This summer, find the inspiration you need from Conrad’s 2018 Artisan Wedding Fair happening on Sunday, the 8th of July, 2018 at the Grand Ballroom. This wedding fair is designed to provide new inspirations for brides-to-be from creative designs from craftsmanship and other handmade works of art. 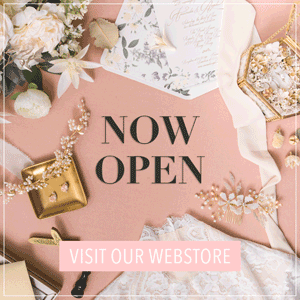 The wedding fair also features luxury wedding vendors, unique workshops, wedding menu tastings, a mock civil ceremony, a lucky draw, and lots of surprises, privileges, and more! 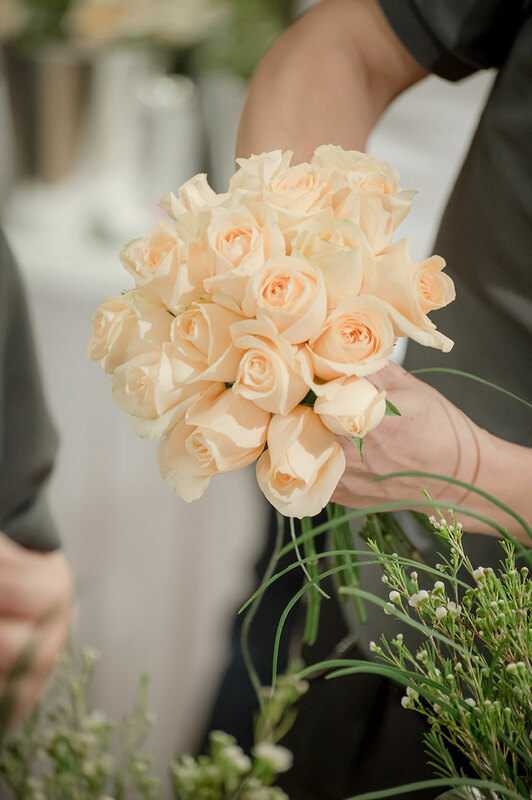 And to complete the whole experience, the professional wedding team will provide on-site consultation and venue showcases so attendees can get firsthand experience of their personalized wedding. Here’s a sneak peek of what you can expect at the fair. At the wedding showcase, a variety of arts and crafts service partners from the city will be present alongside vendors of high fashion wedding dresses, wedding stationery and fine prints, make-up services, elegant venue decoration, and wedding photography. This new addition of artists to the vendor line-up will help you gain fresh, new ideas and inspiration. Conrad Hong Kong also prepared two fashion shows for highlight both, traditional and Western wedding attire designs. For the first time, Soon Nam Wah, a century-old name in the industry, will display a series of wonderful qun guas and traditional cheongsams at the hotel. This first part aims to help brides understand the various kinds of sewing techniques for traditional dresses, so they can choose styles that best suit them. The second part of the fashion show will feature Trinity Bridal’s designer wedding dresses and D’URBAN gentleman’s attires. 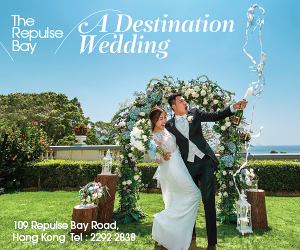 Conrad Hong Kong takes the extra step to help you envision the wedding of your dreams with styling templates and live demos. Decked with stylish floral decorations and tableware, the Grand Ballroom will feature a number of classic design templates made by the wedding team such as Chinese-style round tables, Western-style long tables, and children’s special long tables so that the couples can easily envision and choose the right one according to their wedding theme and preferences. 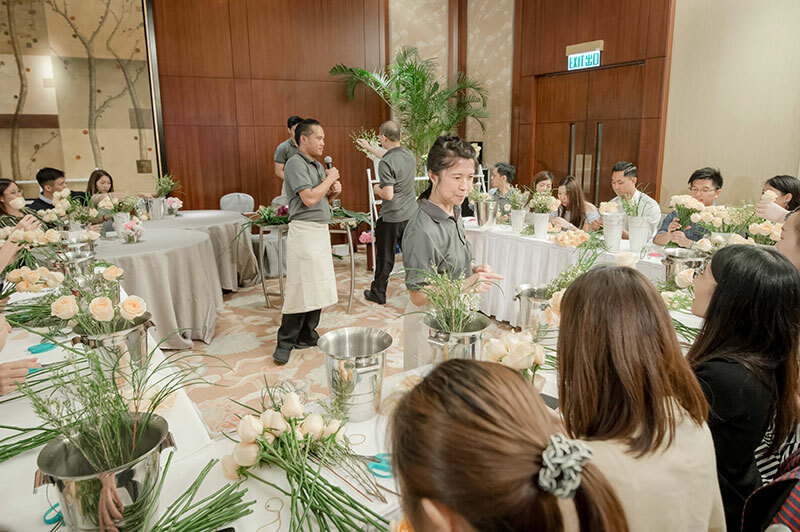 During the event, the culinary team will also present the highlights of the Chinese and Western wedding menus in the form of a Live Station. 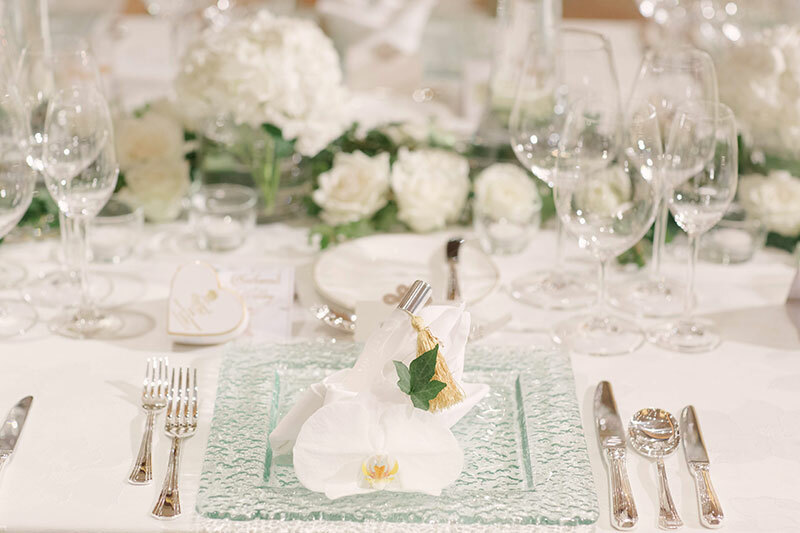 Here, attendees can taste the delicious wedding banquet meals in advance. Finally, the hotel will hold a mock up ceremony march and registry wedding ceremony at the spacious foyer with a grand parade for the first time. The wedding showcase includes a wedding afternoon tea experience and D.I.Y. bouquet workshop at Lobby Lounge. Chef Billy Yuen, the hotel’s pastry chef, will create a series of desserts to match the peachy Tea WG – The Grand Wedding Tea. After tasting the sweets, bride-to-be’s will move on to the hotel florist who will demonstrate unique wedding bouquets that brides can make on their own. There are only a limited number seats for the workshops, and online pre-registration and prepayment are required so secure a slot. If you want to secure a slot now and get more details, please visit the hotel’s Facebook Event page. Book an Exquisite Venue with Exclusive Discounts! Conrad’s Grand Ballroom is a luxurious, pillar-free banquet venue with a floor area of 8,242 square feet (767 square meters). It can fit up to 52 Chinese-style round tables and accommodate 624 guests. It can also be divided into three separate banquet halls for weddings of different sizes. The foyer area of the ballroom is most suitable for weddings or pre-dinner cocktails and ceremonies. 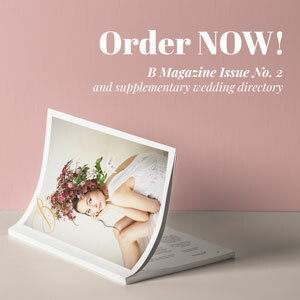 It can be used in large-scale arrangements for different wedding themes. 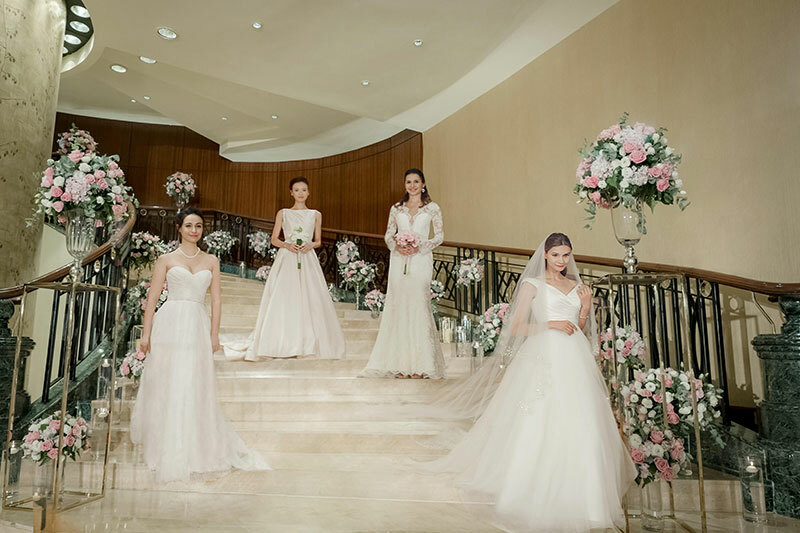 The marble Grand Staircase connects to hotel foyer, open hall, and the Grand Ballroom, so that the bride can enter the banquet space visible to everyone’s eyes and in grand style. The hotel has 11 separate function rooms on the 7th floor, elegantly decorated and equipped with floor-to-ceiling windows for outdoor scenery, including Hemecury (1,549 square feet) and Chatham (1,700 square feet) which can fit up to 9 Chinese round tables or 108 guests, more suitable for intimate weddings.The hotel’s award-winning Chinese restaurant, Golden Leaf, has designed a series of auspicious and delicate Chinese wedding dishes for guests to enjoy a tasteful experience. The first 5 couples who have confirmed on the spot can receive complimentary luxury honeymoon accommodation across designated overseas Conrad Hotels & Resorts. Couples who confirm 2019 wedding reception receive package upgrades with selected red and white wines. Confirmation of a wedding reception from January 1 to September 30, 2019 will allow guests to receive guest room upgrades up to the Deluxe Harbour View Room or Suite. On-site confirmation of honeymoon accommodations is only applicable to Grand Ballroom banquets. All privileges are subject to the terms and conditions. 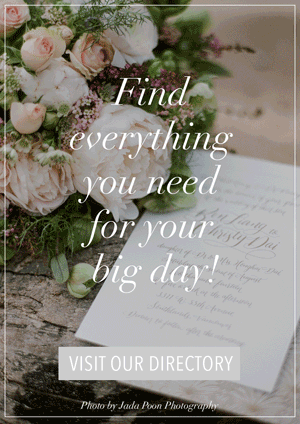 Please contact the Wedding Planner for details at (852) 2822 8892. For details, please visit hotel’s website or their Facebook page.